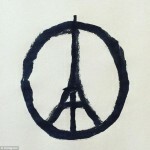 On Friday night, 13 November 2015, the terrorist attacks in Paris took place. Attacks on big city cultural life, spending the evening with friends in concert halls, café’s and bistros, a foodball stadium. That same night was the end of the first day of the International Conference Negotiating Cultural Rights in Copenhagen. This conference celebrated the end of the mandate of the Special Rapporteur (SR) in the field of cultural rights, Fareedah Shaheed, and the publication of eleven reports in the period 2010-2015. At the conference, we had just concluded that cultural rights had grown from the Cinderella of human rights into a beautiful princess. Today, it seems that this princess has to grow up even faster than expected, because we are in need of a Queen of Spades that stands for the protection of cultural rights. It is only a few years ago, in 2010, that the first report on the implementation of cultural rights was published. This report discussed the interaction between the principle of universality of human rights, the recognition and implementation of cultural rights and the need to respect cultural diversity. The first Report and the fact that it was announced that the coming years would be committed to a whole series of reports on issues ranging from access to cultural heritage, to womens’ rights and intellectual property rights, led to the idea to bring all these reports together into one publication, with comments from experts that would highlight specific aspects of interest to them. The conference was to bring all the commentators together, and would contribute to a further understanding of the status of cultural rights and the interpretation thereof in these reports. The most generous funding of the Velux Foundation of the research project “The Past’s Future” of Professor Helle Porsdam of the Saxo Institute, University of Copenhagen, made it possible to invite speakers from the United States and Australia, and host the meeting in the Danish National Museum and the Danish National Library. The plan was soon embraced by the Special Division of the Office of the High Commisioner in Geneva, and we could welcome both the parting SR Ms Shaheed as well as Ms. Karima Bennoune, who had been appointed as her successor in the beginning of November, as special guests. For the authors of the comments it was a great opportunity, and not only to hear first hand about the research for the reports and the main points that the SR wanted to make. It was also an opportunity to be part of the debate on how to interpret the conclusions, and what aspects in these reports would benefit from future actions of the new SR. The first day was dedicated to the first report and the reports on access to cultural heritage, the right to benefit from the progress of science and cultural rights of women. After discussing a wide range of issues, from the invention of new ceremonies in Kenya to replace the rites of female genital mutilation, to the power mechanisms that are involved in the identification of cultural heritage, and from the institutions that are in control of access to science to the glass ceiling for women in the workplace, it was clear that the SR favours a universal approach on human rights, and that all relativist interpretations are to be discarded. A discussion of the relations between the cultural rights of the individual and those of the community, the right to self identification or the importance of cultural diversity should be explained as a way of grounding the universality of human rights into the realities of our societies. My contribution to the 2011 report on access to cultural heritage gave the opportunity to bring in some points of attention that could contribute to both the interpretation of the current reports, but also give pointers to what could be done in the future years. The 2011 Access to cultural heritage report main message is (in broad strokes) the importance of a right of self-identification, and freedom of choice in participating in cultural communities. This involves both the recognition of power differentials in the identification of cultural heritage, and the importance of the protection of cultural diversity, in particular cultural expressions of minority communities. This also involves the right to set certain barriers to access to cultural heritage that is considered sacred to the communities involved. The points I wanted to make was first that in the discussion of heritage protection, new digital technologies and new media are game changers that have set of a whole array of new ways of communicating cultural heritage. A discussion of access to cultural heritage should, therefore, take the effects of these new information and communication technologies into account. Some theories (Macluhan, Castells, Latour) even consider the effects of these technologies in the development of new ‘networked’ societies that are in the process of replacing the traditional model of hard law supervised by the state towards a system of networked governance, which involves ‘ a system of formal and informal institutions’ like co-regulation and self regulation and voluntary agreements. The Access Report did not explicitly address this ‘game change’. However, it does contain certain aspects that are part of this development, in particular in the way the Report, in its recommendations, does not only address States, but also calls upon professionals, researchers, and the Tourist and Entertainment Industry to improve relationships and respond to claims by communities and peoples regarding the management of their cultural heritage. My comment was that the Access Report thereby reflected an emerging principle of responsibility for access to cultural heritage for non-state actors, or to be more precise, other public actors and private actors. In this comment, I also referred to the recent jurisprudence of the CJEU in which private actors, like Google, and public actors like independent supervisory authorities are made responsible for the protection of fundamental rights. In the Google/Spain Case, the Court introduced a right to be forgotten, which gives an individual the right to demand of (in this case) the Google search engine that personal data related to his person are no longer made visible in the search results. This has direct implications for the right of self-identification that is highlighted in the Report. Likewise the Facebook/Ireland Case, which led to the Court’s decision that national supervisory authorities must be able to examine, in complete independence, whether the transfer of a person’s data to a third country complies with the requirements on the level of protection of citizens in the Directive as well as the Charter of Fundamental Rights of the European Union, even if that level of protection was approved by the European Commission. But all this was still very much a story of the cultural rights Cinderella turning into a beautiful princess. The next morning at breakfast, it soon became clear that most of the participants in the conference had spent the major part of the night watching CNN, which had a live broadcast of the events in Paris. Images that merged with those other choreographed images of executions reflecting all horrors from hell. It dawned on us that whatever the future had in store for us, and whatever chain of reactions or new events would follow, these would also be of great influence on the debate on cultural rights. One of the presentations of that Saturday, by Professor of Contemporary History, Hanne Hagtvedt Vik, was topical, as she presented her comments on the two reports on History and Memory. These two reports explain the important distinction between History as the results based objective research of historical sources, and on the other hand the experience of history as reflected in Memory. The necessity of the distinction between the two was explained by Shaheed who had experienced the importance of the Memory of historic events that may go back hundreds of years in her country visits, while talking to many members of local communities,. These memories are part of the cultural identity of individuals, and this makes collective Memories a powerful resource of identity and strength but also of resentment and armed conflict. The presentation by Dyebo Shabalala on the impact of advertising and marketing on the enjoyment of cultural rights was also right on the mark, as he reflected upon the pervasive influence of today’s media culture on cultural life. Again, the discussion of issues of cultural diversity and the right to self identification were coloured by the sub-question raised by the potential conflicts that can occur between a dominant culture and minority cultures. The final speaker of the Conference was Karima Bennoune who gave her first public address as the new Special Rapporteur. As Professor of International Law of the University of California she carries two passports, her father had to leave Algeria as a refugee. In front of a slide with the Eiffel Tower Peace Sign, she denounced in the strongest possible terms the attacks in Paris, saying they “may constitute a crime against humanity in which people were targeted “simply for participating in cultural life.” She presented her first plans on the main themes of her mandate which would include the identification of conflict, the role and responsibility of non state actors, the ‘vernacularization of cultural rights’, and the role of new technologies and new media. I have no doubt that she is the perfect person to take on this mandate. The Report on the Conference for the Carnegie Council for Ethics in International Affairs by Professor Helle Porsdam may be found here: http://www.carnegiecouncil.org/publications/articles_papers_reports/754.